The 2018 World Cup is just over a month away and all 32 teams are preparing in earnest for their shot at the trophy in Russia. ESPN FC is previewing every team ahead of the opening game on June 14. Find all 32 teams here. Drawn into a tough UEFA Group A with France, Netherlands and Bulgaria, Sweden weren't given a lot of respect by the onlookers following the international retirement of numerous veterans, including Zlatan Ibrahimovic. However, they surprised by finishing second ahead of Netherlands and then stunned the world by beating Italy in the playoffs by keeping a clean sheet over 180 minutes. That was a major triumph after failing to qualify for the previous two World Cup tournaments. It might sound a bit weird, but Sweden are much more competitive without Ibrahimovic. Granted, they are less glamorous and probably even less feared, but the dressing room is much more united these days. The team spirit is Sweden's biggest strength going into the tournament. Everyone feels part of the squad and everyone is capable of making significant contributions. With modest but ambitious coach Janne Andresson, who masterminded Norrkoping's amazing title triumph in 2015, on the touchline, they are also extremely well organised. Their motivation knows no bounds, the self-confidence is sky-high and they are very physically strong. In addition, key players Andreas Granqvist and Viktor Claesson ply their trade in Russia for Krasnodar. They will feel at home during the tournament. Unity is important, but Sweden definitely lack top quality and their squad is not deep enough to go far in the tournament. Apart from Emil Forsberg, no player can be considered a real star and some of the players have been in rough form lately. Victor Lindelof, the most promising centre-back, had a nightmare debut season at Manchester United. John Guidetti didn't find his feet at Alaves, Ola Toivonen is hardly playing for Toulouse, Marcus Berg chose to move to Al-Ain in Abu Dhabi and first-choice goalkeeper Robin Olsen suffered a very untimely injury. Emil Forsberg should be the leader and the major source of improvisation for Sweden. A bit shy and reserved, he offers a totally different impression as opposed to Ibrahimovic. The RB Leipzig playmaker provided 22 assists in the Bundesliga in 2015-16 and attracted attention of numerous top clubs. Blessed with vision and sublime technical skills, the midfielder, nicknamed "Mini-Foppa," is a joy to watch when on song. 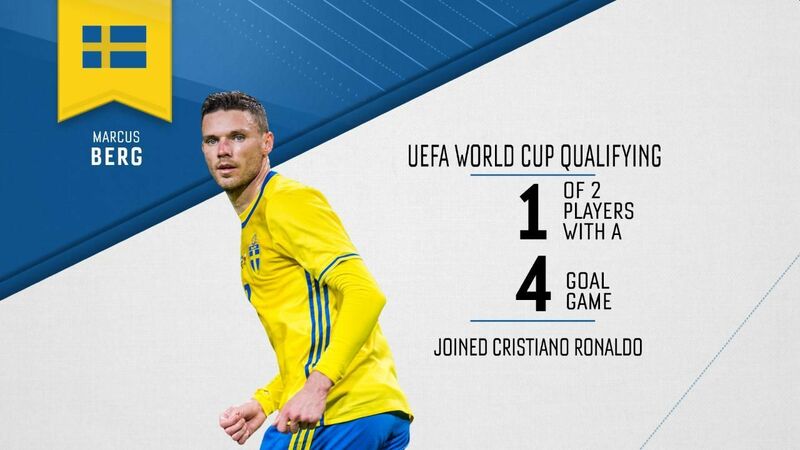 He is a sound dead-ball specialist as well and has a keen eye for goal, scoring four times for Sweden in the qualifiers. The problem is that the current Bundesliga season has been much less successful for the schemer, who only had two goals and two assists for Leipzig. With the most important players in the squad seemingly off form and Mexico always making it into the second round, it's only logical to predict that the Swedes would go out at the group stage. A lot will depend on the first game against South Korea, though, as a convincing win could turn things around.